Cypress Gardens, located within the grounds of LegoLand, Florida is a 146 acre soulful and precious area of land that has been nurtured over a 75 year span. With much history to this area and an amazing story behind it, these grounds are now part of LegoLand. Cypress Gardens is pristinely kept - a botanical garden to relax and enjoy a beautiful day. Be sure to take in the beauty of all of the incredible landscaping including native plans such as a camellias and azaleas. A visit to Cypress Gardens would not be complete without a stop at the expansive Banyan tree - a blast back to 1939 when it was first planted in this amazing park. 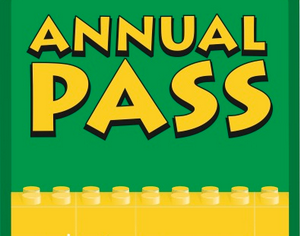 Unlimited Admission to LEGOLAND® Florida Unlimited Admission to LEGOLAND Water Park More! To view Legoland Florida Regular Admission Tickets, other Specials and Coupons, go to their special page by clicking here. Legoland Florida updates this page throughout the year, so check back to see if new specials and coupons have come in. Note to our visitors: Legoland Florida Specials and Coupons can change without notice. So please visit their official website to make sure of the latest pricing and coupons.